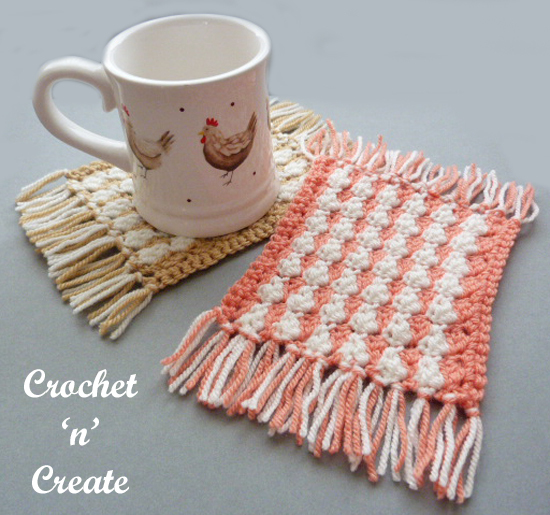 Crochet mug rug – The perfect item to give as a little gift or to make for yourself, use these coasters to give a splash of color on your side and coffee tables, make with or without the tassels. 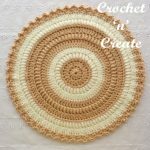 I have crocheted them in an acrylic worsted weight yarn but you can use the same ply in cotton if you wish. 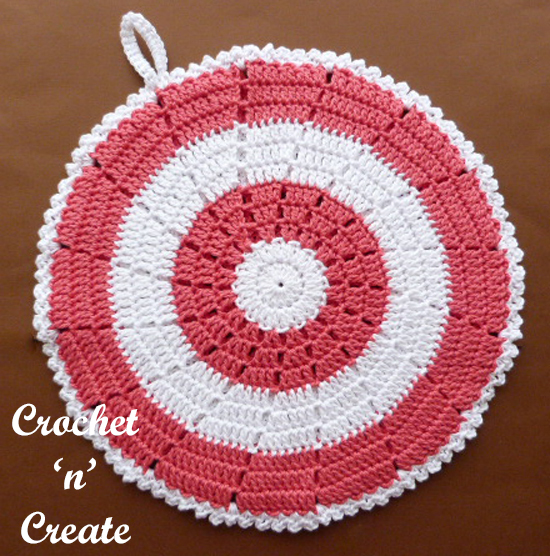 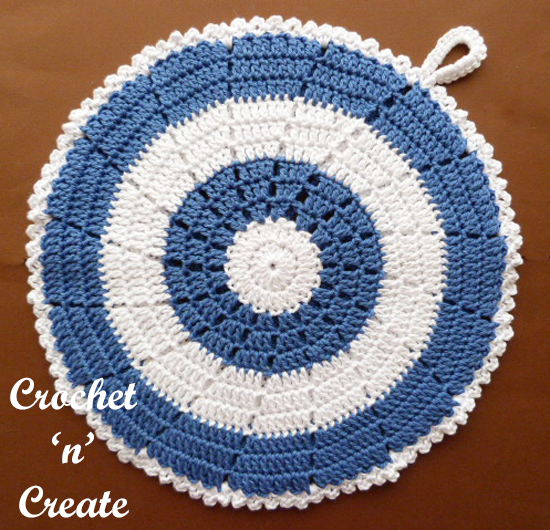 See my free Coasters & Basket and Circular coasters patterns. 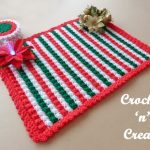 My crochet thick potholder design has been made with 100% cotton yarn in 2 pieces and then joined together with single crochet stitch, I have used the very easy front loop, back loop technique. 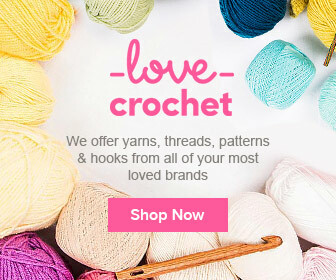 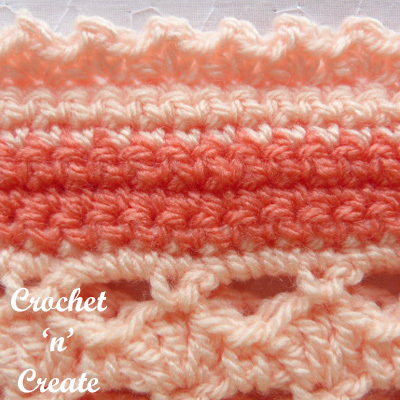 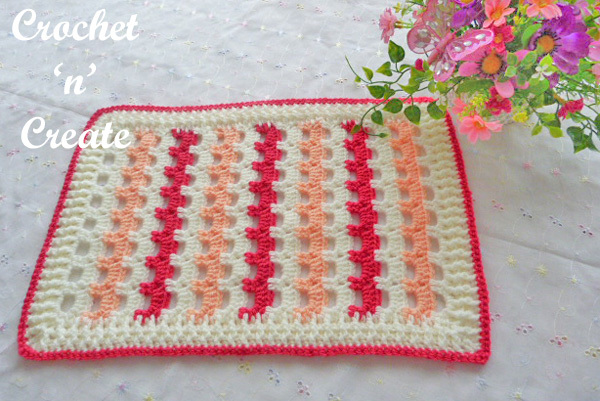 It is a good pattern for beginner crocheters too, so hope you enjoy making it. 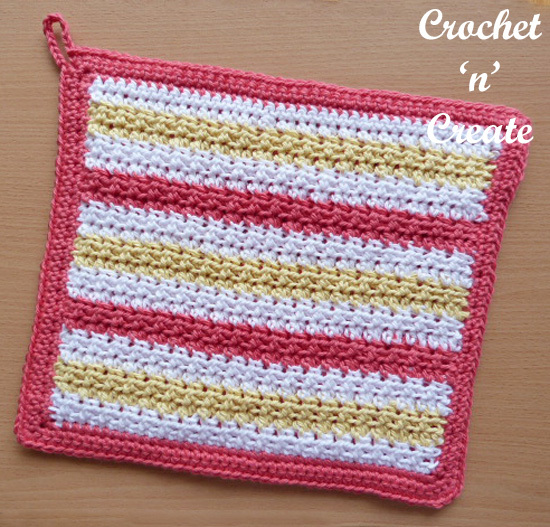 This is my first potholder on crochet ‘n’ create, if it’s received well I will do more patterns in different stitches and shapes, so make sure you pin it for later. 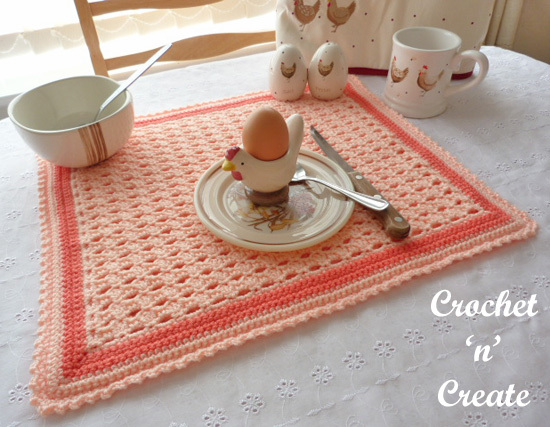 This entry was posted in crochet for the kitchen and tagged crochet, crochet for Kitchen, crochet potholder, free crochet patterns on 6th March 2018 by crochetncreate. 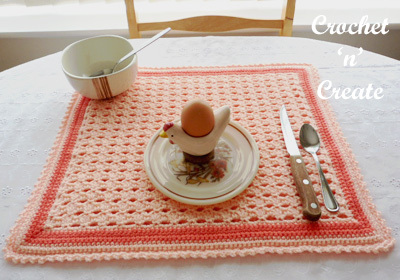 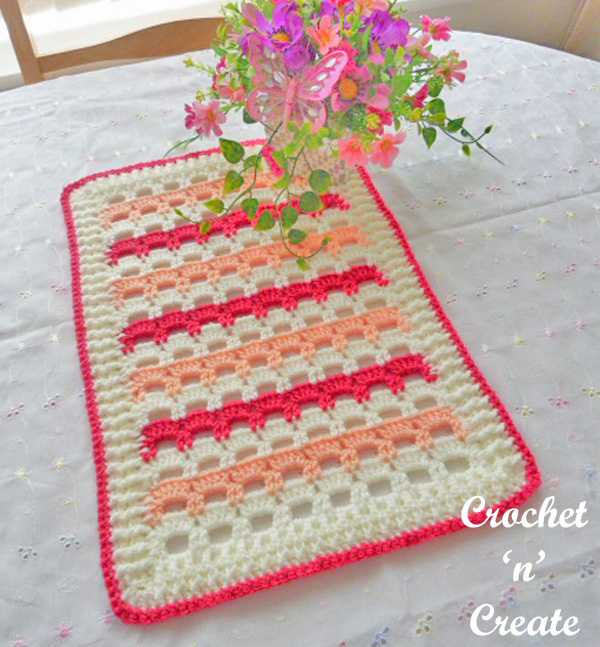 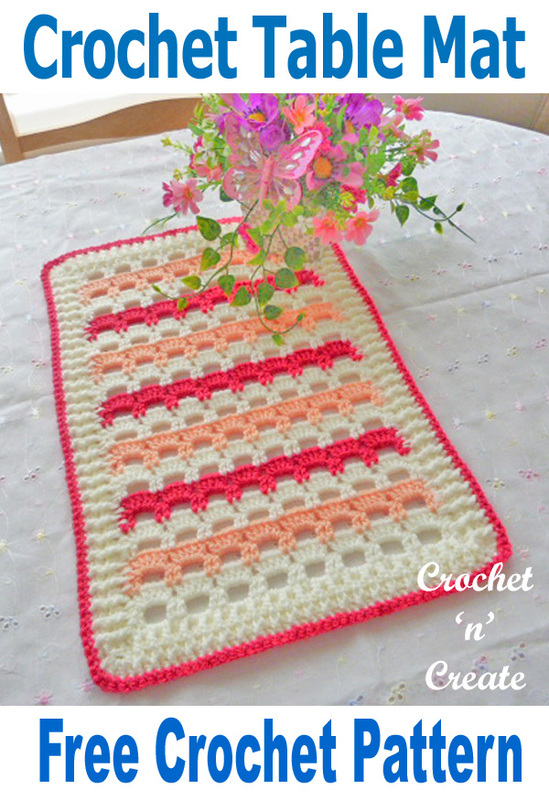 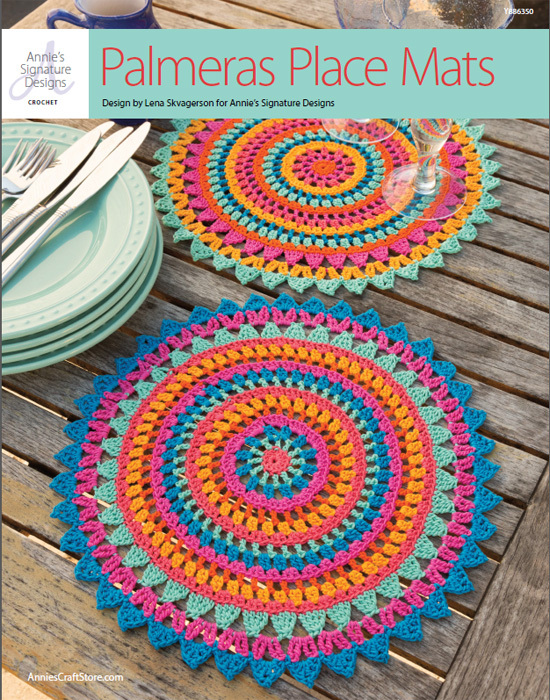 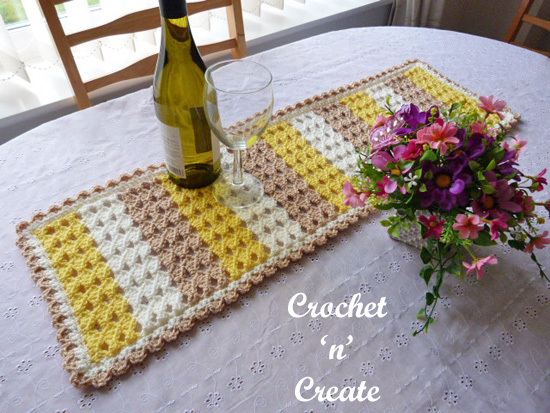 A free brightly colored crochet dining table runner pattern, which is also ideal and suitable to use for computer desks, dressing tables or sideboards. 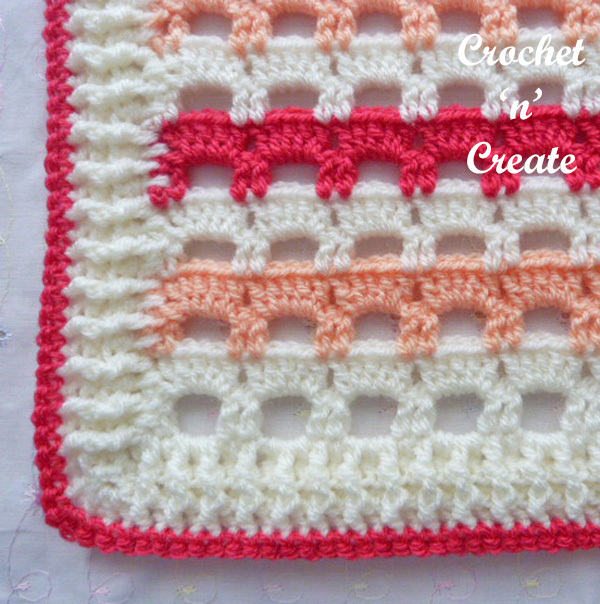 Made in a pretty shell stitch design, it will look lovely where ever you make it for. 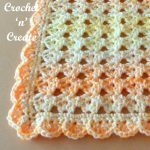 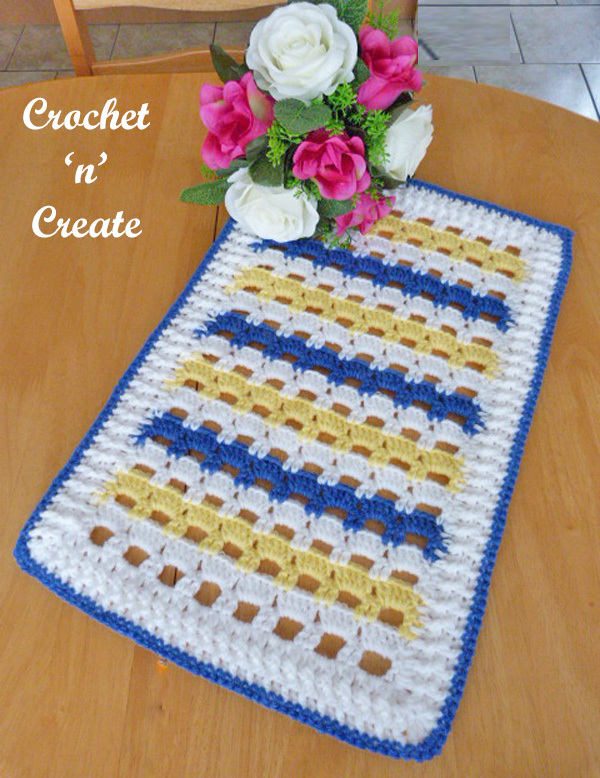 This entry was posted in crochet for the home, crochet for the kitchen and tagged crochet, crochet for home, crochet table runner, free crochet patterns on 6th February 2018 by crochetncreate.